Panama Jack Gran Caribe stretches along a quarter mile of white sandy beach – is an awe-inspiring resort, where style and service come together in grand fashion. 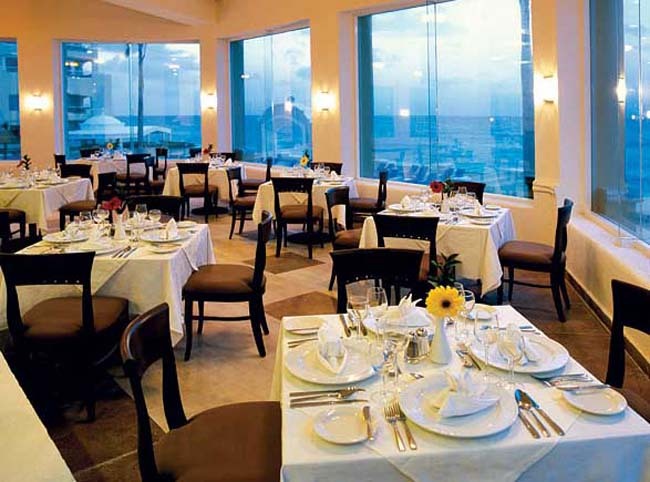 Situated at the south end of Cancun’s famed hotel zone, this Mediterranean-style resort provides a first class experience, combining the renowned Mexican hospitality with Panama Jack’s unique brand of attentive service. The newly re-branded Panama Jack Gran Caribe gets consistent excellent reviews from a wide audience. It is generally very good at everything it does so if you are after a safe bet, this one should do very well. 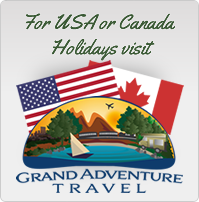 Located at the south end of Cancun’s famous Hotel Zone. Approximately 30 minutes from the Airport. Rooms offer stylish elegance each with modern marble baths, air-conditioning, mini-bar stocked with soft drinks, beer and water, Flat screen satellite TV, and private balcony or terrace. Junior Suite – Features a King size bed or two double beds, a sitting area with a sofa bed. 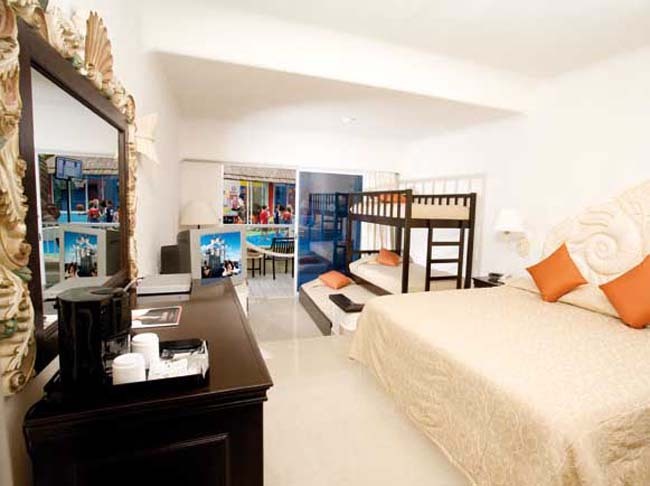 Family Junior Suite – Maximum occupancy up to 5 people (2 adults and 3 kids or teenagers) with direct access to the Oki Splash and Kids Club also from suite terrace, King size bed, Sitting area. Junior Suite Ocean View – Includes all features of the Jr. Ste., plus: Great Caribbean ocean view and fully remodelled areas and furniture, Sitting area with chaise lounge. 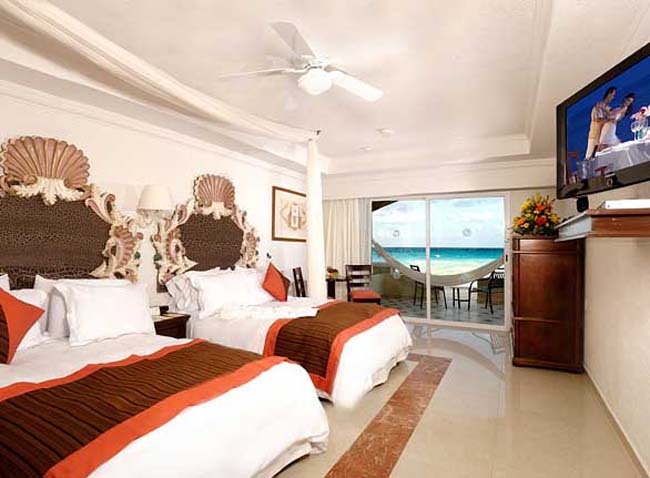 Junior Suite Oceanfront – Includes all Including all features of the Jr. Ste. Ocean View, plus: A superior oceanfront location, In-suite mini-bar stocked with soft drinks, beer and water, includes a convenient international brands liquor cabinet, Sitting area with a pull-out sofa bed, Unlimited Golf green fees from 11:00 A.M., Larger terrace with hammock, 15% off on Spa treatments and massages, Fall asleep to soothing sounds of the ocean! Gran Junior Suite Ocean View – Located on the Gran Club VIP Floor, including all the amenities of the Jr. Ste.Oceanfront, plus: Exclusive Royal Service, 24 Hr. Gran VIP Lounge access with private concierge services, Royal Housekeeping with upgraded amenities, Pillow Menu, Nightly turndown service, In-Suite aromatherapy scents (romantic, relaxing or invigorating), Bose SoundDock plus loaded iPod with music selections for all tastes, Premium liquor cabinet and snacks, access to dinner at Maria Marie, Asiana and Pelicanos restaurants at THE ROYAL in Cancun Luxury Resort . 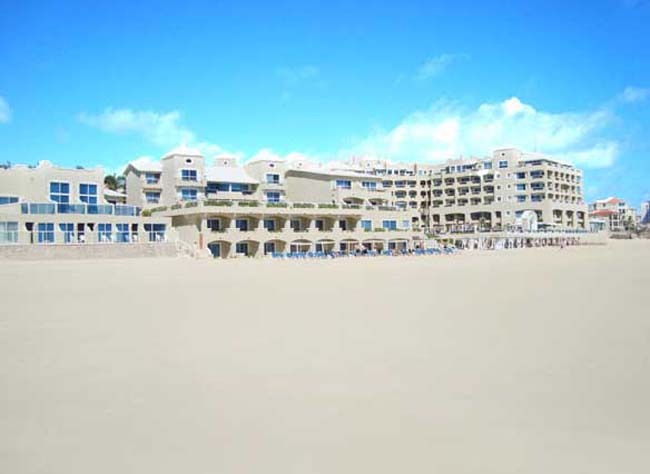 Gran Junior Suite Beachfront Walk-Out – Including all features of the Gran Jr. Ste. Oceanfront, plus: Convenient direct access from the terrace to the beach, 24 Hr. 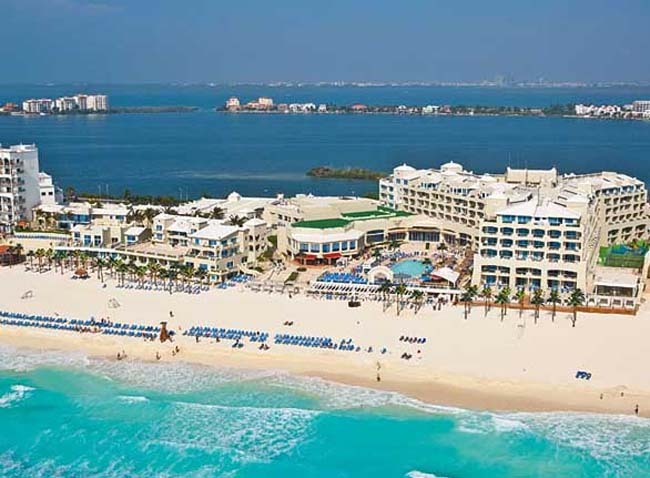 Gran VIP Lounge access, Exclusive suite-designated beach cabana, premium liquor cabinet and snacks, access to dinner at Maria Marie, Asiana and Pelicanos restaurants and SPAzul at THE ROYAL in Cancun Luxury Resort (adults only, 16 years and older). You will be enticed by an impressive variety of restaurants and bars (most with fabulous views of the beautiful turquoise Caribbean) serving up innovative cuisine ranging from seafood specialities and Italian favourites to Sushi and outstanding gourmet Mexican delicacies. 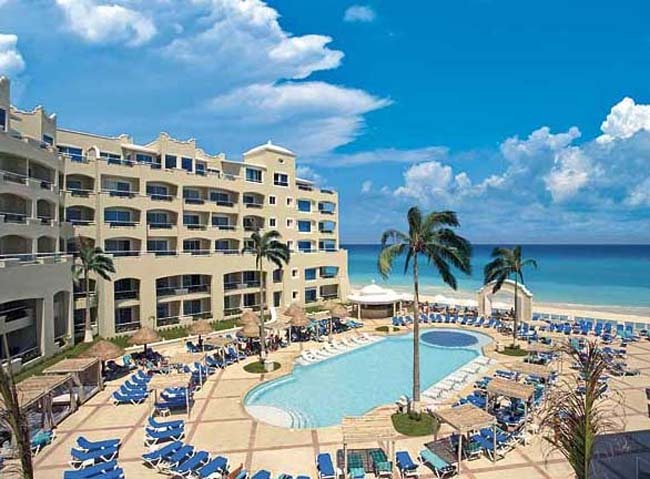 Panama Jack Gran Caribe is part of Real Resorts which has properties throughout the Cancun region.